Having a project or activity stall is bad for the psyche. When you stall...things seem tougher...getting things rolling again requires maximum effort. It is much easier to keep something rolling than getting something started again. If you are working on a big project or have a lofty long-term goal...you will constantly be looking towards the future to help guide and keep you on the right track. Don't let your lack of vision stall your project. 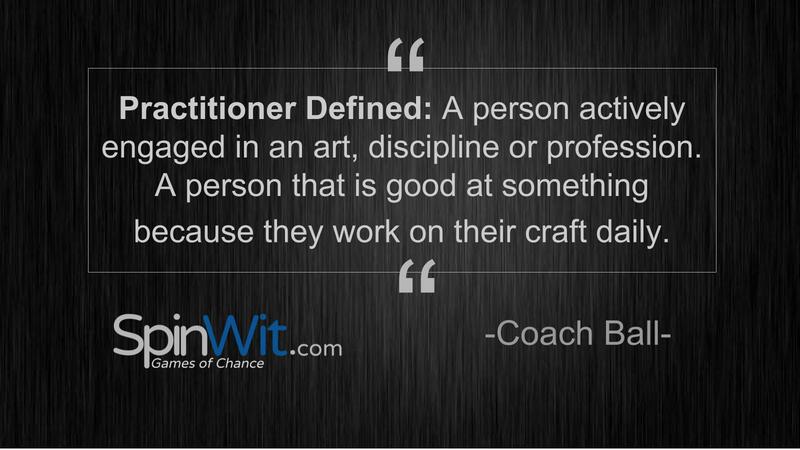 Become a practitioner to keep your momentum and guide the future. I'm asked for advice all the time...I can spend a big part of my day talking to folks about sticking points...what to do next and what's coming at us in the near future. By default...a lot of folks are resistant to change and can easily get confused about what to do next and how the latest trends will weigh on their plans. This confusion often causes frustrations due to the fact that the future cannot be pursued successfully if we continue to use old and outdated viewpoints as our reference. Being unclear about where to go from here can really slow momentum on any substantial project or goal. Things are advancing rapidly and you had better be good at looking around corners if you are going to be successful. My advice to those that ask often revolve around execution, keeping things simple and building momentum. I spend my time working on big projects, and I've found that executing plans with simple daily progress maintains momentum and confidence when pursuing big goals. Doing something that advances your cause every day makes you a practitioner...and that practical knowledge used daily helps to keep you focused on what to do next. The people that are actually doing things every day...advancing their projects...have a keen ability to look around corners. It forces you to look forward with bright eyes...keeping you from becoming someone that just thinks about the future...you are creating...building your future. The challenge I offer those asking for help...stay positive, keep it simple and move forward every day. 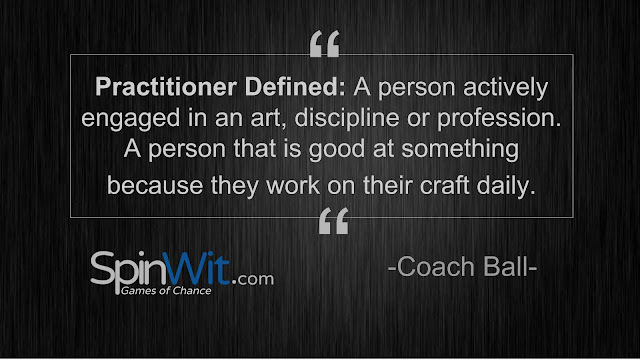 Let momentum and the compounding effect that practitioners generate carry you over the goal line. Coach's Note: I use this same concept with my football team to create confidence and to help when overcoming adversity on the field. Keep it simple and execute.